Who doesn’t love a berry? They are the superstars of the fruit world and are ideal for making smoothies. Any berry will do, from strawberries, raspberries, blueberries or cranberries. Add them to your blender as a single group or combine two or three types together. 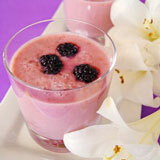 Mixed berry smoothies are a kaleidoscope of different colors and tastes. 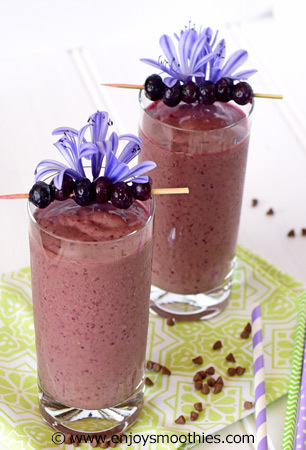 Berries are the ultimate smoothie ingredient. They are low in fat and sugar, but high in dietary fibre. 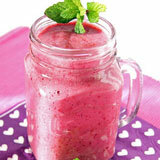 They go with almost any other fruit or leafy greens and will give your smoothies a pink or purple radiance. Not only that, they are rich in vitamins C and E, antioxidants and other nutrients, which means that your smoothie not only looks a million dollars but is actually a super tasty health drink. You can use fresh fruit, but I find the pre-frozen packets of mixed berries to be super easy and a real time saver. Add fruit juice, yogurt or milk and sweeten with honey or maple syrup. You will need to add a thickener as berries have a high water content, but bananas, avocado or mango are ideal. Make sure your berries are fresh. Most berries have a short shelf life, so they need to be used within a few days of purchase. Once you bring your berries home don’t wash them, this will cause them to rot. Remove any berries that are soft or moldy, then store in a clean, dry container in your refrigerator. Berries are among the healthiest fruits on the planet containing some of the highest antioxidant levels of any fruit. Their beautiful colors, from deep blues, bright reds and rich purples are what make them so good for you. It is the flavonoids in the berries that give them their distinctive color. Each type of fruit contains a different mix of flavonoids, which is why you get the range of colors and also why it’s important to eat a variety of different berries. Berries contain anti-ageing and anti-inflammatory properties, protect the immune system and provide excellent protection from disease. 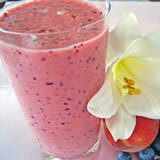 Place the mixed berries, pomegranate juice, blanched almonds and Greek yogurt in a blender and blend until smooth. Pour into chilled glasses and serve. Note: I used a juice blend of apple, raspberry and pomegranate juice as it was in my pantry. But apple or pomegranate juice would work just as well. Peel and segment the orange. 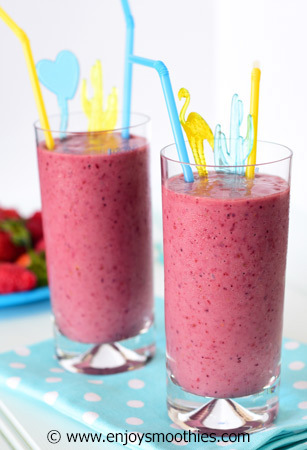 Add to your blender along with the blueberries, raspberries, raspberries, strawberries and liquid. Blend until all the ingredients become smooth and creamy. Note: If you are using fresh berries, add some ice for that classic chilled effect. Remove the stem from the pear, cut into quarters and remove the pips. 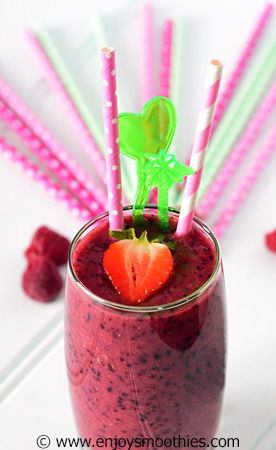 Blend together the mixed berries, pear, avocado, almond milk and apple, raspberry and pomegranate juice. I found it necessary to add the juice to provide sweetness. This makes two large glasses. 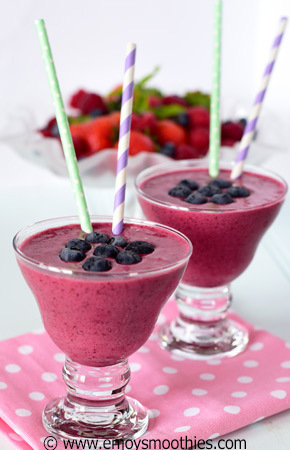 Blend together the mixed berries, avocado, almond/coconut milk, cacao and vanilla bean paste until smooth and creamy. Pour into two glasses, top with added fruit and enjoy. Note: Almond/coconut milk is one of those blends now readily available in the supermarkets. 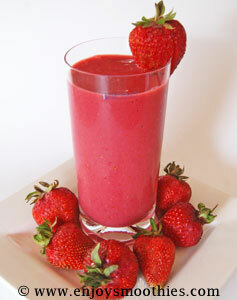 Place the strawberries and raspberries in a blender. Add the yogurt and cranberry juice and blend until smooth. Pour into chilled glasses and top with extra strawberries and raspberries.